AV components can generate a lot of heat. For example, I think I could use my 1st Generation Apple TV as a hot plate. 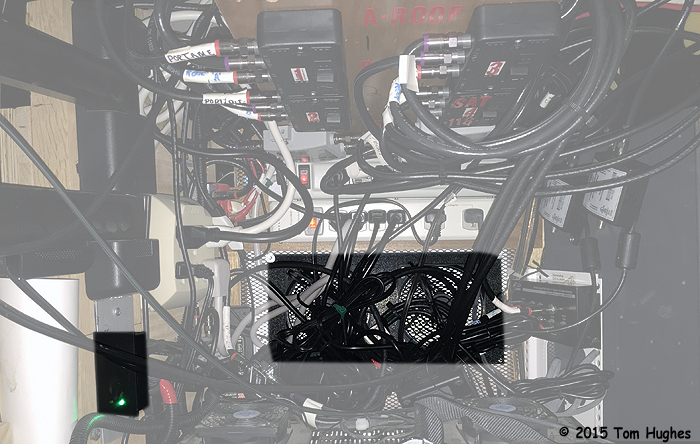 Seriously, AV components like receivers, CD-ROM players, and streaming devices (Roku, Apple TV) are typically crammed into a small RV cabinet. Few of these cabinets are equipped with adequate ventilation. As I was planning to jam a DISH Hopper, BluRay player, 1st gen Apple TV, and a satellite controller into a 12″H x 17″W x 12″D compartment, I figured that I should ventilate the compartment. There was room in the back of the cabinet to cut a hole for fans. However, to let air flow, I would either have to keep the cabinet door open or drill holes in it. I didn’t like either option. 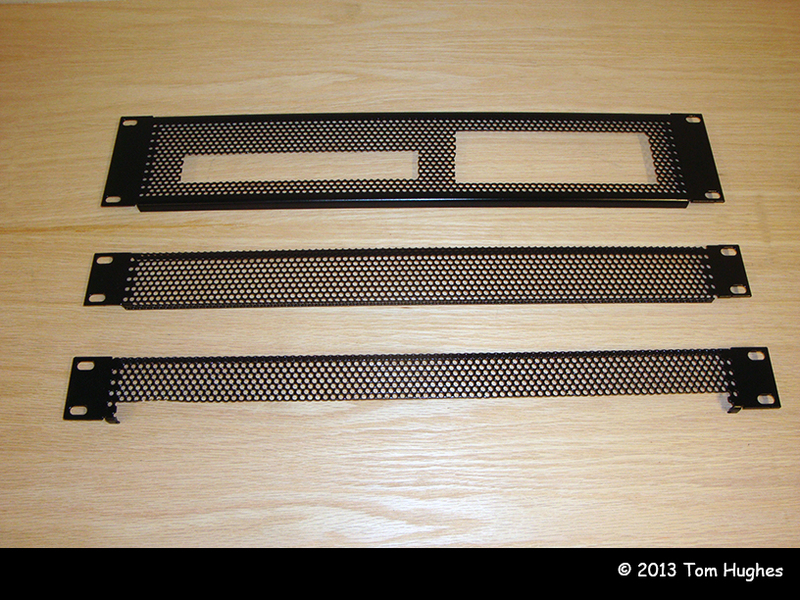 The vent grills were purchased from FullCompass.com and the fans from Coolerguys.com. The 92mm 30 CFM fans were temperature controlled — and VERY quiet. 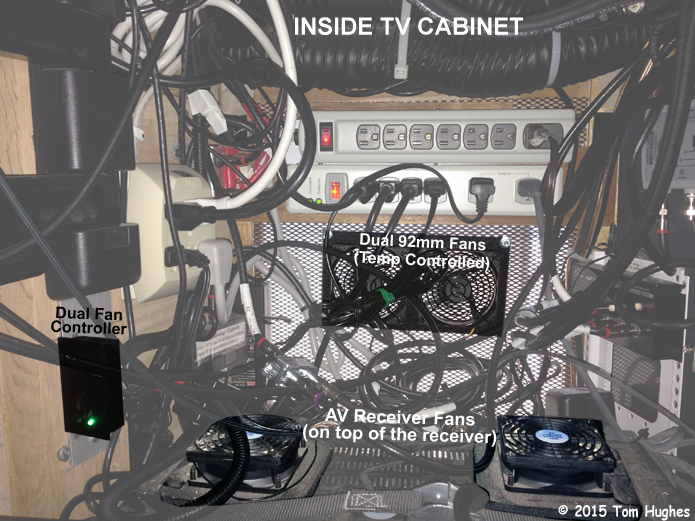 When I upgraded to 3 Hoppers in our RV, I first had to add two DPP44 switches inside the TV cabinet. These two switches generated more heat than the two 92mm fans could handle. Cabinet temperatures hovered in the mid-90s. 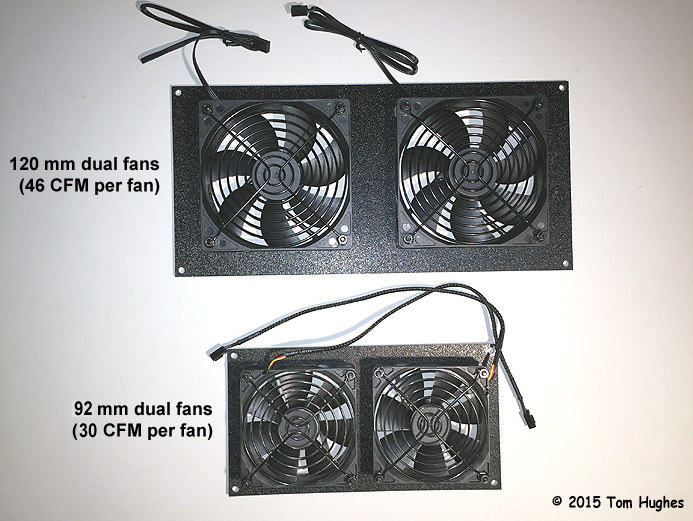 So I replaced the two 92mm fans with 120mm versions rated at 46 CFM. These new fans did the trick and cabinet temperatures went down to the mid 80-degrees.